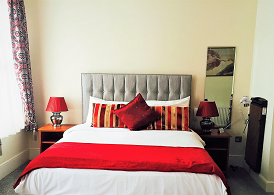 Welcome to Ilfracombe House - a 4-star (AA) family-run Guest House in Southend-on-Sea situated in a perfect location for business & holiday, only minutes away from the famous Southend Pier and Cliffs Pavilion Theatre. Book direct online or call our reception on 01702 351000 for better rates & more rooms available than all online booking agents. 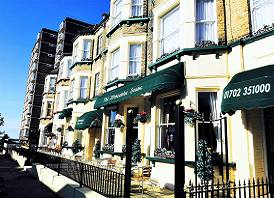 The Ilfracombe House in Southend is an independent, family-run Guest House, situated nicely adjacent to the Southend Cliffs Gardens and Southend Seafront. Most of those who stay with us have visited us before or have come to us recommended by other guests. What a lovely smaller hotel. I will no longer stay in the large chain hotels when next visiting Southend. 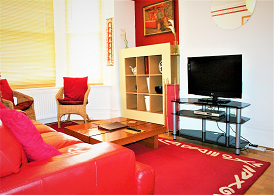 The rooms were very modern, clean, and well-furnished – and importantly with plenty of space. Bathrooms very modern and new. But above all, the service was brilliant. From the moment I arrived and was given immediate help to park my car, the Ilfracombe Hotel set itself apart with it’s incredibly friendly and helpful staff. Breakfast was also outstanding. This hotel is a hidden gem amongst all the other hotels in Southend.